Do you ever feel like leaving the corporate rat race behind in favour of doing something that feeds your soul, awakens your senses and propels you in the direction of a lifestyle you could only ever dream of? Katrina Boydon is a successful, British born marketer who spent many years abroad (in Russia, France and the United States, to be specific) building a professional career to support her growing family of 4 children and 2 dogs with husband Steve. 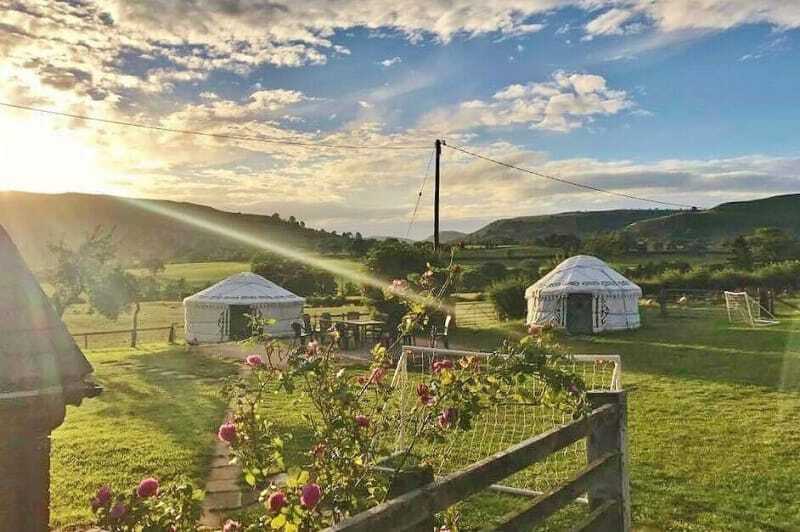 In 2014, the family made the life-changing decision to return to Britain and open a glamping site in Shropshire. Barnutopia welcomed its first guests in the summer of 2015. 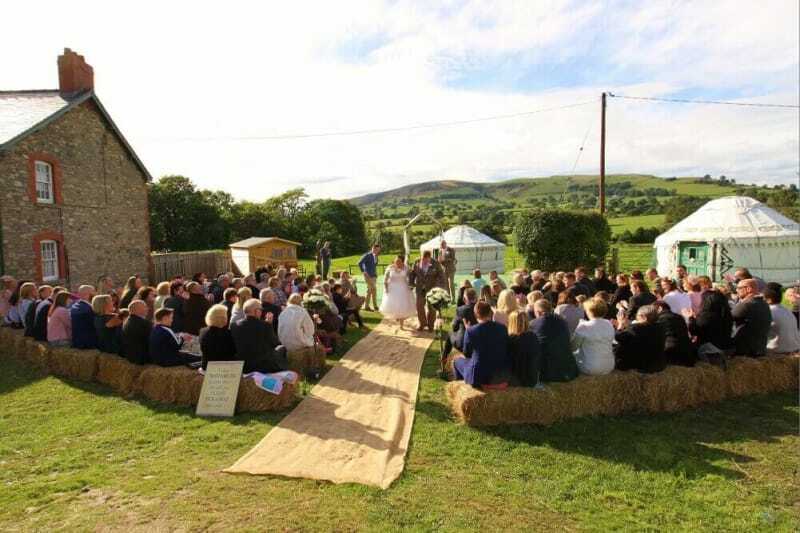 The family hosted their first wedding in August 2017 and today, Barnutopia is a busy, successful wedding business that attracts 5-star guest reviews and is even set to feature on a prime time TV series in April as a British small business success story. 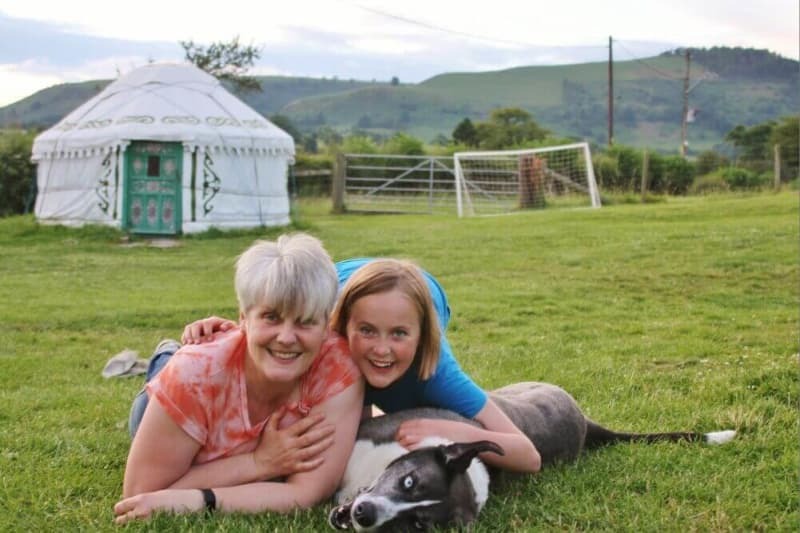 Today, we have the privilege of meeting Katrina to find out a little more about the success story behind this yurt glampsite in the Shropshire countryside. Bridebook: Where did the idea for Barnutopia originate from? Katrina: It came to us over a period after leading active outdoor lives as campers. We could see the attraction of being able to enjoy the outdoors without having to carry all the stuff that goes along with traditional camping. Our children participated in several yurt glamping trips with their Montessori school in the United States and our final fling in the US was a 6,000-mile cross-USA trip in a caravan. With our 4 children and 2 dogs that simply would not have been possible as a camping trip. What came first; the venue or the concept? The concept. 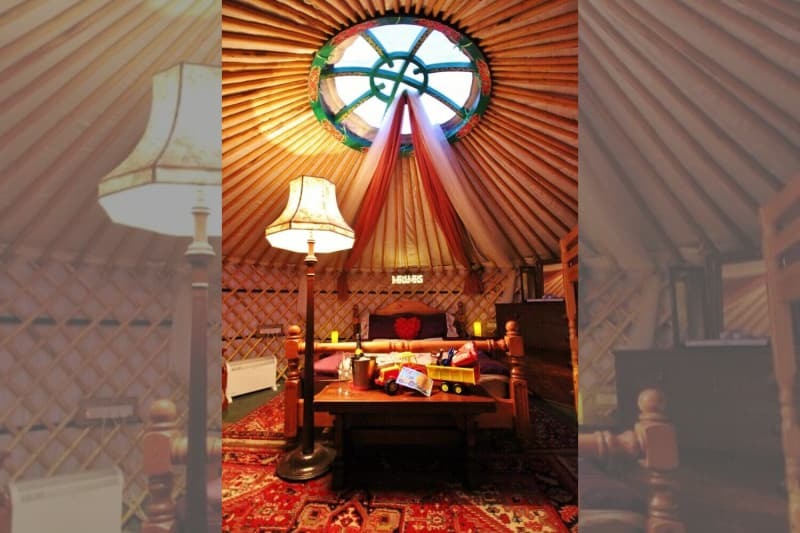 We knew that we wanted to open a glamping site and actively sought out a suitable property with land. Why Shropshire? Do you know the area well or did you perhaps spot an opportunity or gap in the market? After living abroad for over 20 years and moving internationally several times, we wanted to move to a place where we didn’t have to start completely from scratch (family, network of friends, knowledge of area). 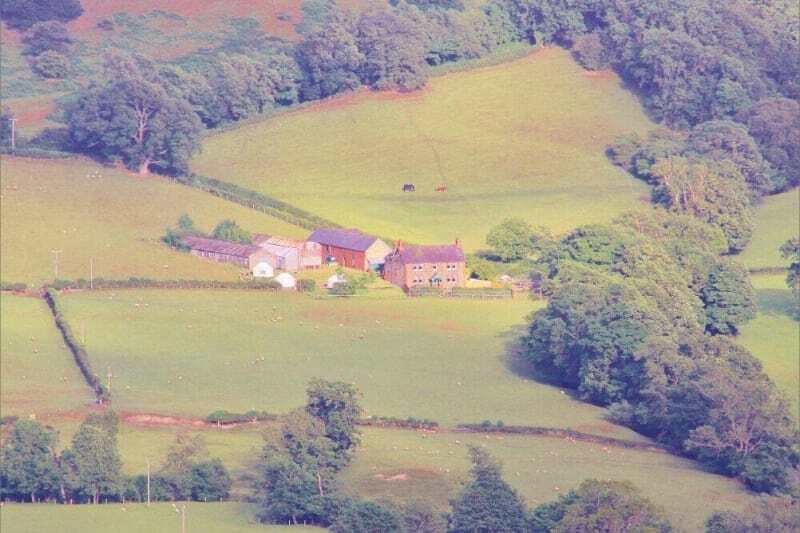 I was born and grew up in Llangollen about 15 miles from Oswestry, where Barnutopia is based. Steve’s parents live in Welshpool, 15 miles from Oswestry in the other direction. We were not set on Shropshire; Powys, Cheshire, Gwynedd, Wrexham and Flintshire were all possibilities. As we viewed properties we took into consideration the location (looking for easy access but rural surroundings) and proximity of similar or alternative businesses, tourist attractions, walking, hiking, town amenities. Tanycoed Farm had all these things in a particularly stunning spot. 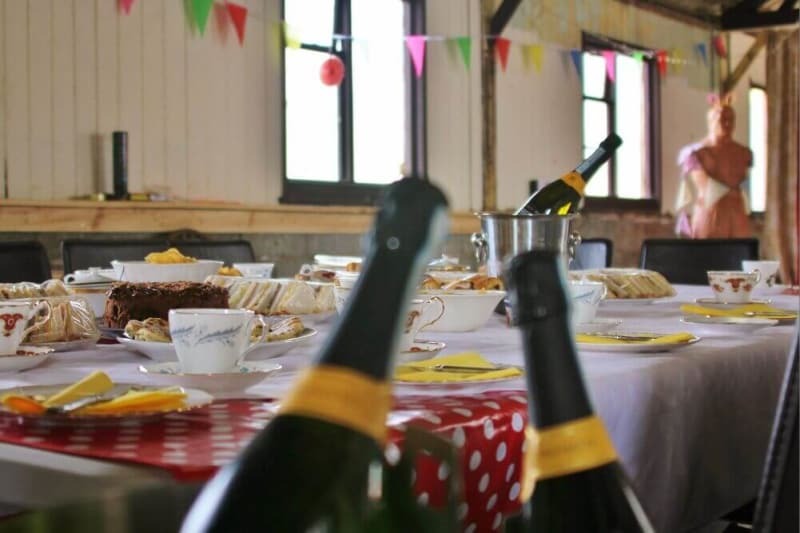 Ok, so from a top level perspective, our short term objective is to generate venue-hire bookings for at least 30 weekends each in 2018, 2019 and beyond. Our medium term objectives are to maintain a solid web presence on multiple platforms and media, and to establish a client base for midweek bookings. And our longer term goal is to generate weekend and midweek bookings for 30-40 weeks of the year allowing us to have time out for maintenance and for ourselves. Yeah, good question. My strategy from the start has been to be everywhere online. Our web presence is very well developed. Facebook has been a huge source of enquiries and traffic to our website, such that over 50% of bookings are via our own media. The rest come through directory websites like Bridebook. I’m flexible and responsive as a new business Owner/Manager, and I try out new creative offers and variations on packages constantly. If I find something that works, I replicate it, but don’t leave it at that. When we first set up Barnutopia we targeted families, primarily. We had very few whole-site or exclusive use bookings. This has flipped now and we have whole-site bookings nearly every weekend and far fewer individual, family / friends bookings. It’s hard to say what I’ve learned from a marketing perspective when it is so intertwined with what I’m learning about the glamping and the wedding industry in general. Generally, I would say that you cannot get tired of presenting and promoting your business. It may seem to you that it’s the same-old same-old, but you aren’t your audience. Your audience may be seeing your 20th iteration on a wedding venue ad, but it’s the first time for them. Keep it fresh and interesting for THEM. How have your marketing resources been split between mediums? How have online wedding planning platforms and directories fared in terms of your expectations versus delivery? As expected to be honest. I am getting a steady stream of enquiries through a variety of free and paid listings on wedding directories, so it’s doing the trick. Would you recommend signing up to online wedding planning platforms and directories if asked by other wedding venues? Why? Yes. One way or another you are going to have to pay to market your venue. If you have the time and skills to do it yourself then great, but time and/or money has to be expended to generate business. Large wedding directory sites have a budget that small businesses cannot compete with; so, unless you want to disappear into cyber oblivion you must be where the enquiries are. What proportion of your marketing efforts are targeted specifically towards wedding industry audiences versus a more all-inclusive approach? Have you developed any interesting insights into the wedding industry or learned what seems to work / not work in this field? Compared to other whole-site reservations, I think the ante is upped for weddings. Couples book a venue, not a site. The expectation is bigger, better, slicker. We’ve had some big whole-site reservations made on the fly for non-wedding, friends and family gatherings. The person booking looks at social media pages and website, makes an enquiry and then books, often without any verbal exchange at all. This has never happened for a wedding. For weddings, couples always view before booking. This is reflected in the information published and sent to persons enquiring about weddings. They want to know and think about it a lot more before making their decision. We’re big on pushing the importance of reviews at Bridebook. How impactful are good reviews in your experience of the wedding industry so far? Nearly every guest who stays with us says they have read our fantastic reviews. Oddly, having lots of reviews already seems to inspire even more people to write their own. Can you tell us anything about the TV series in which Barnutopia features? The series follows a number of British business during their first year in business. The mentor for the series is a well known British TV personality and business woman. Barnutopia is one of the success stories. It is due to start airing in April 2018 and tentatively our episode should be on May 14th. As a British small business success story, we have to ask; what is the secret to your success? I would say the secret to our success is that we know what we want out of our business and we love what we do. In addition to this, we are practically inclined and aren’t afraid to get our hands dirty. Of course, we invest heavily in promoting Barnutopia and it’s our goal to be everywhere online. We’re also not afraid to adapt and change in keeping with the ever-evolving expectations of our clients. Our article 5 reasons Why Barnutopia is a Successful Glamorous Camping Site discusses these ideas in more detail – (http://barnutopia.com/successful-glamorous-camping-site/). If you could give one piece of advice to aspiring entrepreneurs what would it be? Make sure you have at least some of the expert knowledge and skills you need to be successful or you will be overwhelmed with learning. 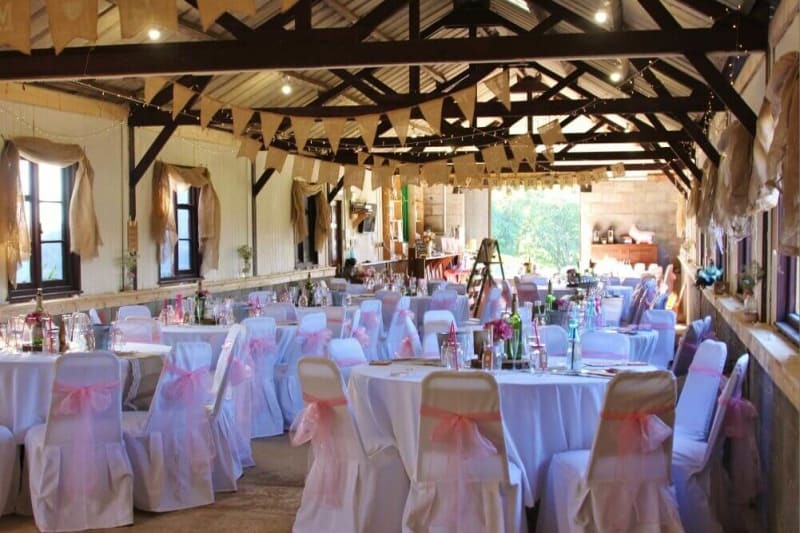 Thanks to Katrina for this inspiring and informative interview which should help any new wedding businesses or aspiring wedding professionals understand a little more about the journey from ‘great idea’ to even greater success. As always, we welcome any questions or comments. Looking for more inspiring wedding industry stories? Head to the Bridebook Business Hub now. The wedding industry professional’s one-stop shop for the all the latest news and top tips to power your wedding business.